Check out our whole online store here. I want larock's shirt so bad. Does it come with the mustache? They form a sad face. Take a close look. Above letter O. Yes people notice that. That's why I failed the studio section of my photography studies. Dust or little dirt on the product photo and you're out. That's the diff between HQ photos and the "hey I need a quick shot to sell something photos". Are the tshirts the same as before? The material is good, but the fit is weird. The pinkbike shirts are too fat and short. 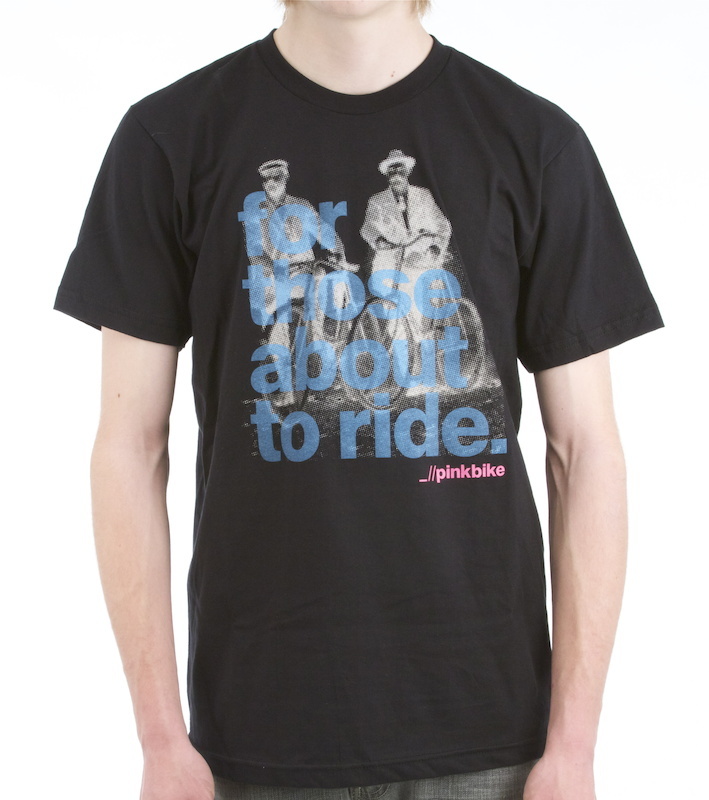 Hey pinkbike-are you still using printing on the same shirts as a year ago? 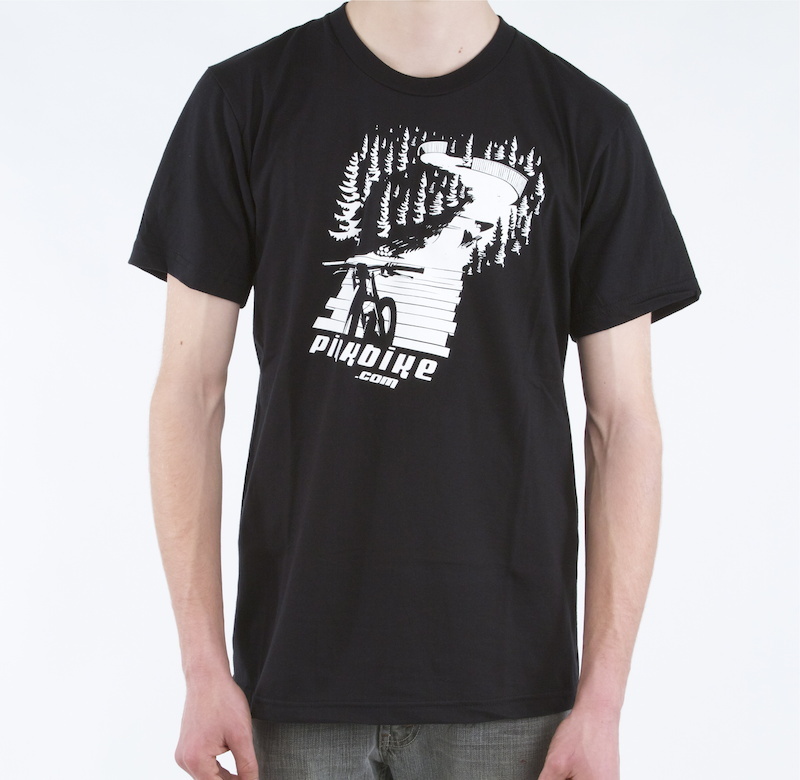 I'd love to order more tees, but not if they are cut to fit trolls (although pinkbike does seem to attract those). We ditched the old shirt supplier and moved to American Apparel. The difference is night and day. That's not a sad face it's a face with a tache hiding the smile. Damn it! I want this T-shirts in Czech Rep.! love the shirts. better then i could do. great work fellas. 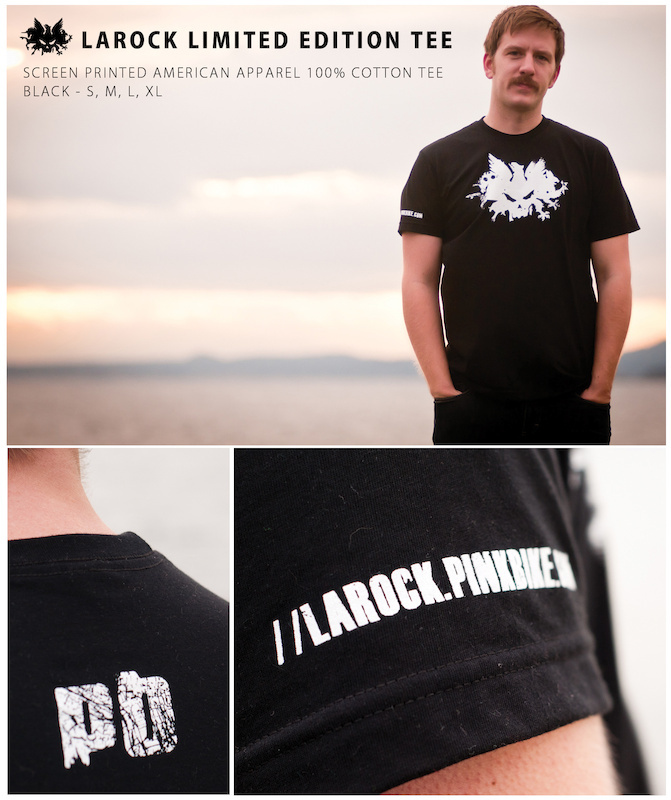 Defo gettin' the Larock Tee! Saw the Larock, immediately clicked "buy"
Wouldn't mind that about to ride one, if the pic was slightly different. Also, for the 2nd and 3rd photos, that guy seems to have tiny arms, he surely can't ride? those bikes remind me of scraper bikes for some reason. I'm pretty sure that's my buddy's kid...he shreds son,believe it! Ive eaten chicken wings bigger than that boys arms!